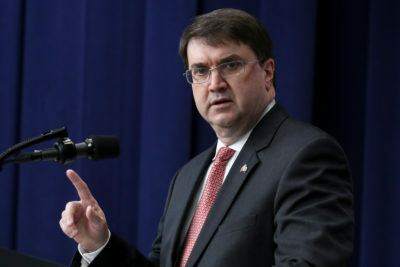 Secretary of Veterans Affairs Robert Wilkie at the White House on Nov. 15, 2018, in Washington, D.C.
A $10 billion technology upgrade championed by Jared Kushner and the Mar-a-Lago trio is at risk of failing the VA’s 7 million patients. How Marvel Entertainment chairman Ike Perlmutter and two other Mar-a-Lago cronies are secretly shaping the Trump administration’s veterans policies. Help us investigate: Do you know what’s going on at the VA? Are you a VA employee or a veteran who receives VA benefits and services? Contact Isaac Arnsdorf at 917-512-0256 or [email protected]. Here’s how to send tips and documents to ProPublica securely.